Oracle has forecast current-quarter adjusted profit largely below Wall Street's estimates and indicated slowing growth in its soaring cloud business, sending the company's shares down as much as five per cent in aftermarket trading. Shares of the business software maker, which reported market-beating revenue and profit for the first quarter on 14 September, initially rose but reversed course after the forecast. They had gained about 37 per cent this year. Analysts on average were expecting 68 cents (US) per share, according to Thomson Reuters I/B/E/S. Oracle, a late entrant to the cloud market, has been aggressively pushing into the business as more and more clients ditch the costlier software licensing model. The company, however, is facing strong competition from other big cloud players such as Amazon Web Services (AWS), Salesforce and Microsoft. 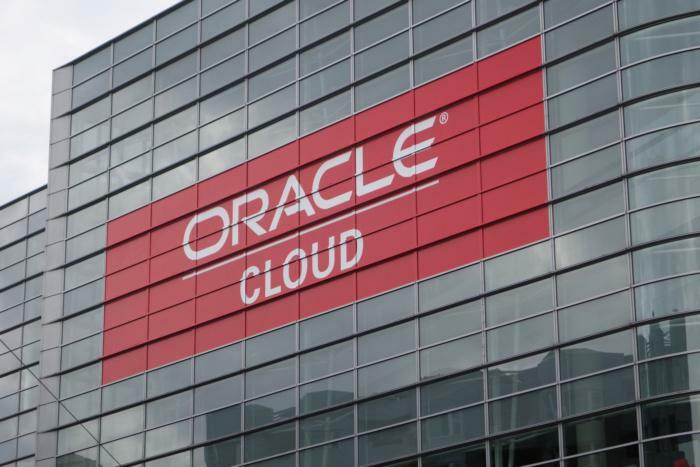 Oracle forecast total cloud revenue to increase 39 per cent to 43 per cent in the second quarter, lower than the 51.4 per cent growth it reported in the latest quarter. "It is natural to expect cloud revenue to decelerate as Oracle grows its cloud revenue off [a] bigger base," said Wedbush Securities analyst Steve Koenig. Oracle said in late August it would hire more than 5,000 engineers, consultants, sales and support people this year to boost the fast-growing business. Earlier this month, the company linked the equity package of its two CEOs, Mark Hurd and Safra Catz, and Chief Technology Officer Larry Ellison to performance targets that include US$20 billion in total cloud revenue in a fiscal year. The company reported revenue of about US$4.57 billion for the business in its financial year that ended on May 31. Total cloud business revenue rose to US$1.47 billion in the three months ended Aug. 31, while it increased to US$5.92 billion in the company's traditional software licensing business. Total adjusted revenue rose about 7 percent to US$9.21 billion, handily beating expectations of US$9.03 billion. Koenig said the beat was helped by new software license outperformance and lower foreign exchange impact.